Since becoming an undergrad at Lehigh back in the late 1980s, I first heard about the historic nature of the football team and “The Rivalry” through the stories that fellow students would share. 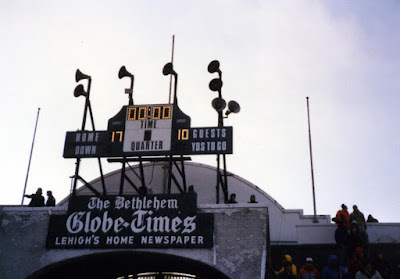 I did not attend the final meeting between Lehigh and Lafayette at Taylor Stadium, which was the final time a football game would be played there. Those that did attend said that was that it was cold. 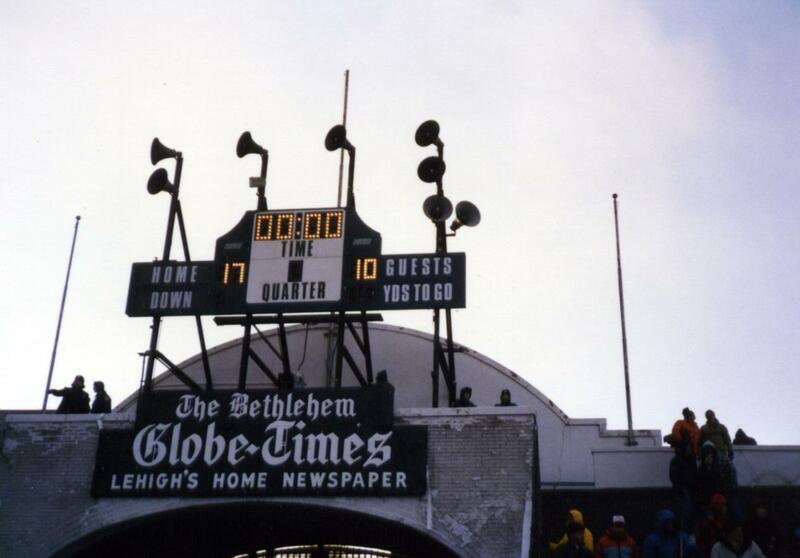 “I remember it being one of the coldest games ever,” Mark Redmann recollected, “with strong Northwesterly winds and the temperature hovering around 20. By the end of the game, the stands were half empty because most of the fans just couldn’t take the cold.